In this article, students who are preparing for UPSEE/UPTU entrance examination 2018 will get complete revision notes of chapter Hydrocarbons including preparation, chemical properties and physical properties. Organic Chemistry is one of the most important parts of the Chemistry in the syllabus of UPSEE/UPTU entrance examination 2018. Because of the tough competition in engineering entrance examinations students can’t skip any topic of any subject. Organic Chemistry is the study of structure, preparation, physical properties and chemical properties of carbon containing compound. The chapter ‘Hydrocarbons’ is the base of the Organic Chemistry. It is very important to understand this chapter to understand the other topics of Organic Chemistry like Haloalkanes and Haloarenes, Alcohols, Phenols and Ethers etc. In this article, students will get study notes and previous years’ solved questions related to chapter Hydrocarbons which will help in your preparation for UPSEE/UPTU entrance examination. The name of the given compound is 6–ethyl–2–methyl–5–propyldecane. 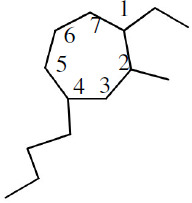 The compound 1–Phenyl–2–butane will exhibit geometrical isomerism. 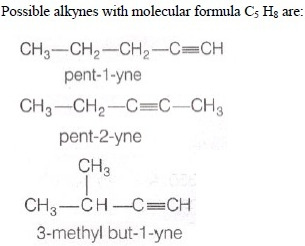 Naming according to closest set of locant rule is 4 – butyl – 1 – ethyl – 2 – methylcycloheptane. 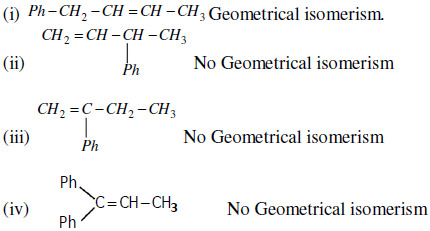 Which of the following compounds is insoluble even in hot concentrated H2SO4? Hexane is insoluble even in hot concentrated H2SO4. These notes will help you in understanding the concepts related to Hydrocarbons in an easiest possible way as the concepts given here are presented in a systematic manner. It will also help you to tackle questions from any difficulty level. The solved questions given here will help you to get familiar with the difficulty level of the previous years’ papers. Students can also track their progress after attempting the questions given here.